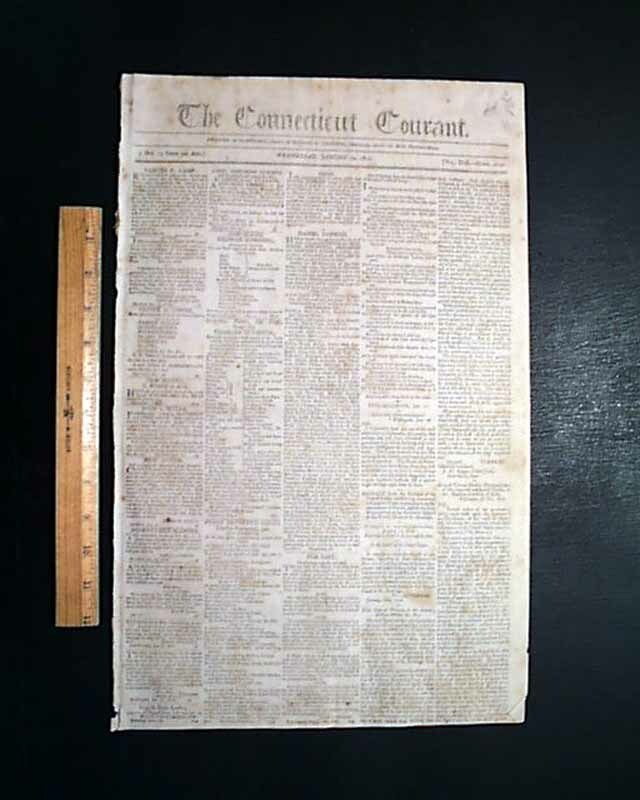 Item # 559596 CONNECTICUT COURANT, Hartford, 1809-1810 A lot of eight issues of the oldest continuously published newspaper in the United States. Each with occasional foxing; otherwise nice. Great to have from the heart of Thomas Jefferson's presidency. The image shows the look and condition of the issues you will receive. Actual dates vary within the specified time-frame.